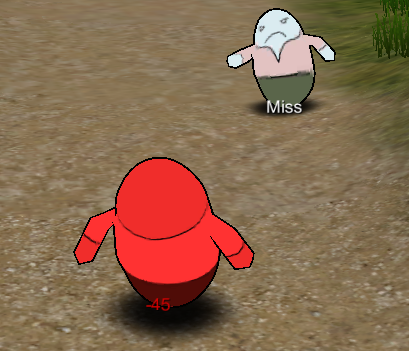 We already set up some basic animations for our player earlier – now it’s time to add the rest of the needed animations. In this tutorial we’ll create some needed animation types and the animations we need – read this how-to if you want to learn more about ORK’s way with animations in general. The default animation types should also already be assigned to the types with the same name. This leaves three more animation types that we need. That’s it for the animation types. Navigate to Base/Control > Animations. First we’ll extend the already existing animations by the rest of the animations we need. After that, we’ll create a new, smaller set of animations to override the default’s Idle and Run animation with animations for battles. This way, we have a basic set of animations that has everything we need in them, but uses the combatant’s field animations for movement. Whenever we need some special animations (e.g. battle movement or a special weapon attack animation), we only need to create a small set of animations that only overrides those animations. We already added the three legacy animations for Idle, Walk and Run. Now we’ll add the rest of the animations we need – since we aren’t using all of them (e.g. Jump, Fall and Land), we need another eight animations. Add them by clicking on Add Legacy Animation multiple times. We’ll be using the default play settings for all animations (Cross Fade, Stop Same Layer, 0.1). That’s it for this animations. We need two legacy animations to override the default’s Idle and Run animation. Add them by clicking on Add Legacy Animation two times. We’ll be using the default play settings for all animations (Cross Fade, Stop Same Layer, 0.1). And that’s it for the animations. Now we need add the animations to our combatants. Navigate to Combatants > Combatants. We’ll do this quick and easy and simply add the animations to our combatants. Tip: Did you know that you can switch between data in a list (in our case: combatants) using the Page Up and Page Down keys? Change the following settings in all combatants. Open the main menu scene (0 Main Menu) and hit Play. Walk outside of the town and into the battle. Now, when a combatant takes damage or evades an attack you’ll see they’ll play an animation – and the idle animation of the battle is different as well. In case you’re wondering why sometimes there are two damage notifications coming from a combatant at the same time – that’s because the other combatant attacked and also countered the attack of the combatant. But we don’t see details yet, because we’re still missing battle events to animate the actions.